Visit Historic Mystic Museum, a living seaport museum while on a yacht charter in New England , showcasing life in a New England coastal town in the late 1800’s; and the largest maritime museum in the United States. 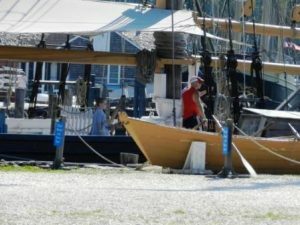 If you make dockage reservations early enough for your yacht charter visit, you can sail or cruise right into Mystic Seaport and dock next to the world’s last wooden whaleship the “Charles W. Morgan’. Wake up on your yacht charter to various sights and sounds from the pages of history as a 19th century working seaport comes alive. Historic Mystic Museum, a living seaport museum is comprised of over 30 New England trade shops and businesses, each in original historic buildings moved from various New England seaports. 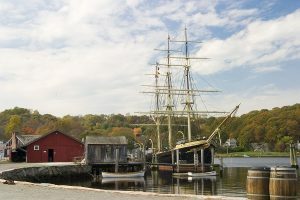 A bustling recreated seaport from the late 1800’s, each day Mystic Seaport comes alive with actors role playing as industrious New Englanders, dressed in period clothing, working trades and businesses that were all part of a prosperous New England port town. Visit the sail loft, where the sailmaker is repairing and making new sails for the Mystic Seaport vessels. Visit the ropewalk, where natural fibers are being twisted to form rope, which is a never ending supply needed for sailing vessels. Pop into the Ship Carver’s shop where fine figureheads are being carved to grace the bow of the various vessels. 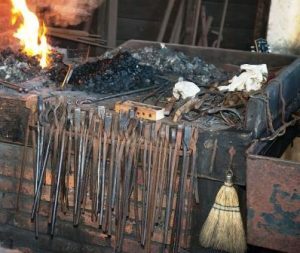 The “towns people” are well versed in their trades as done in the late 1800’s, and each has a story and tale to tell of their lives and loves in this historic seaport town. And of course, a seaport could not be a seaport without docks and ships. 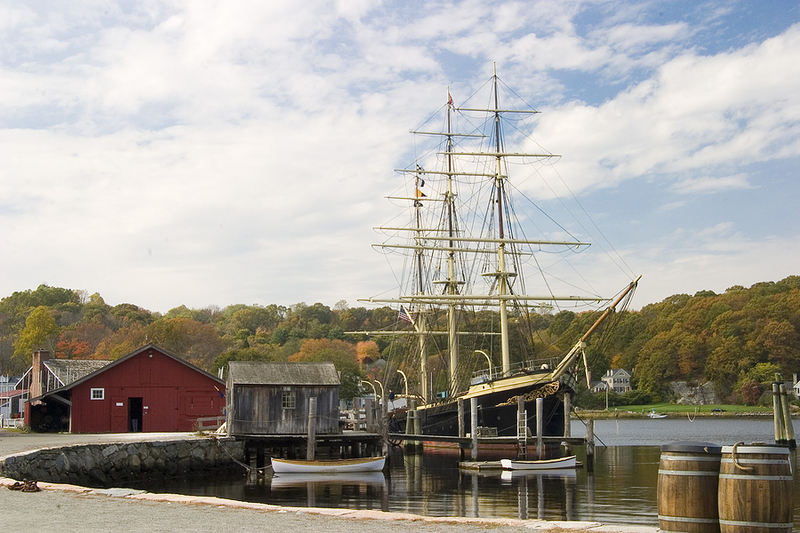 Historic Mystic Museum Seaport owns over 500 vessels, many open and on display on the docks. Rounding out America’s largest maritime museum, are various exhibits, galleries, attractions, and activities. And view wooden shipbuilding and repairing at the Mystic Seaport Preservation Shipyard. 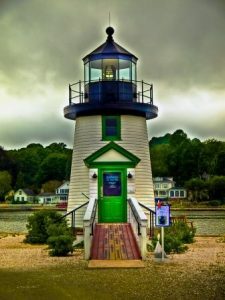 Several hours or several days could be spent visiting Historic Mystic Museum Seaport, however a visit of any length is always well worthwhile. So be sure to sail into Mystic Seaport on your yacht charter in southern New England, and spend some time exploring America’s seafaring past.